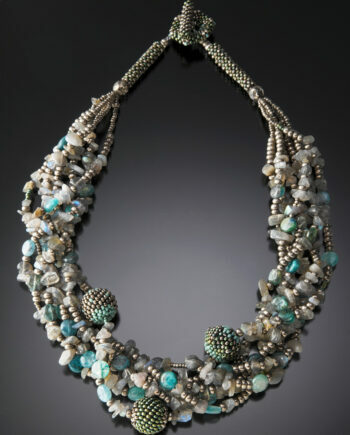 A beautiful necklace worthy of the goddess in you. 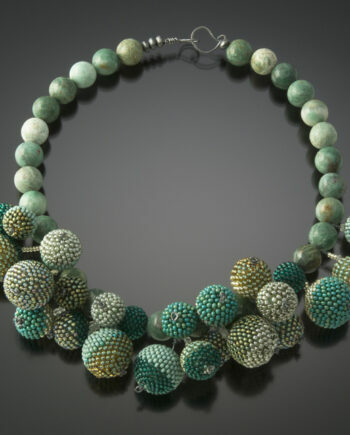 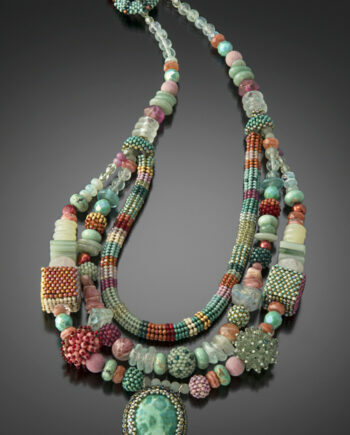 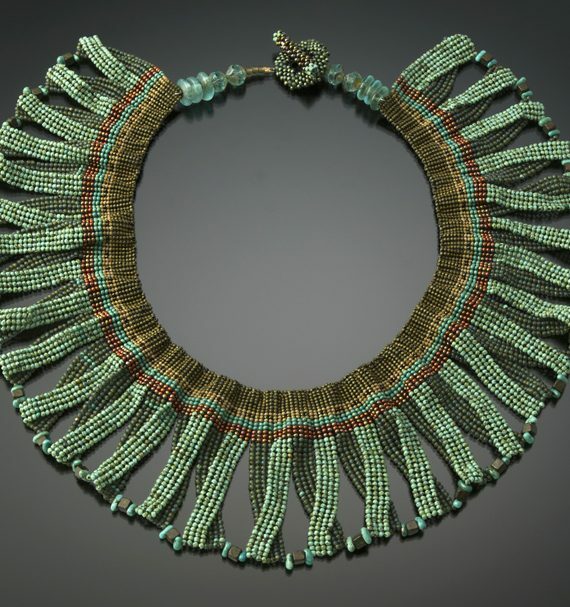 Ribbons of herringbone stitch, in tones of turquoise, jade and bronze encircle the neck with grace. 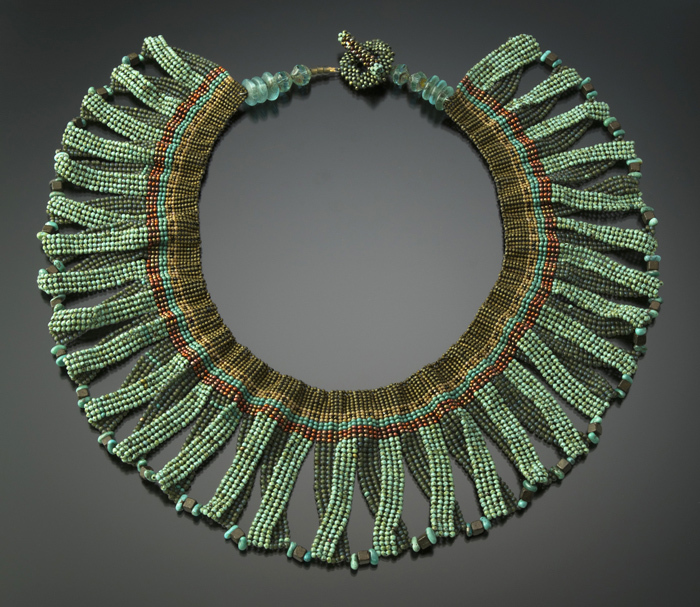 Ribbons are slightly graduated to be smaller in the back and longer in front. 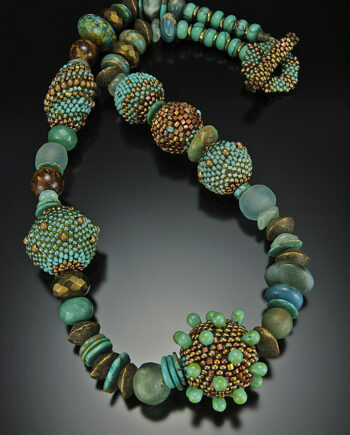 Each pair is anchored with a turquoise stone. 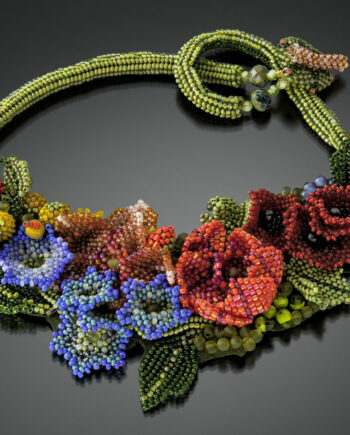 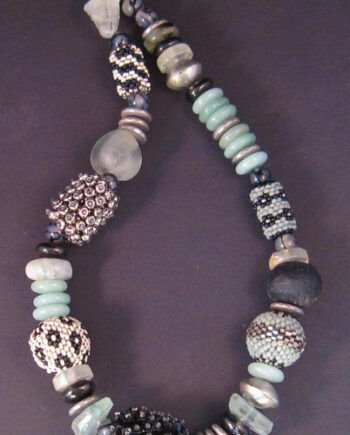 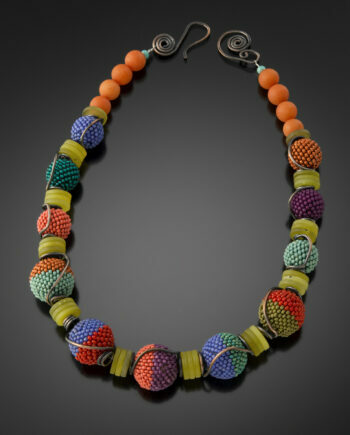 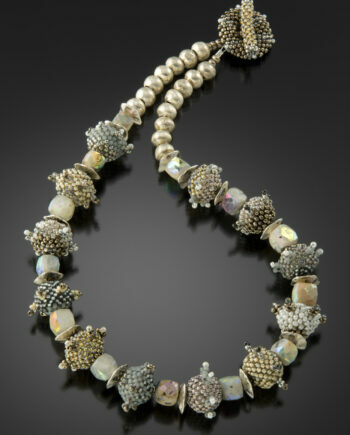 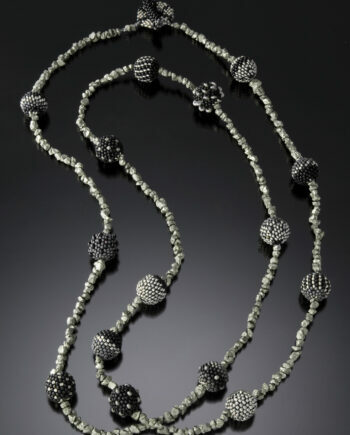 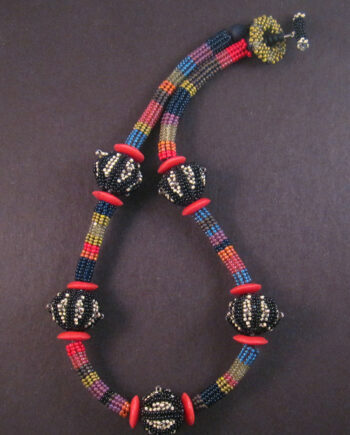 Tiny beads woven in a circular fashion create the collar. 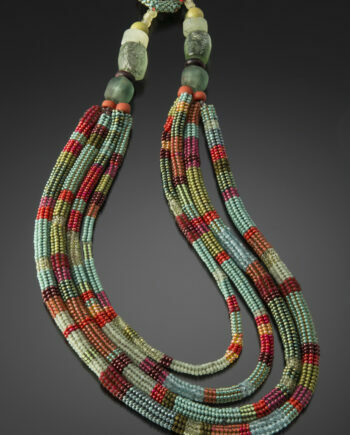 Hand-woven toggle closure. 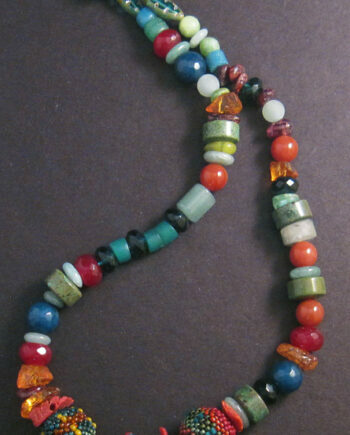 Apx 3″ long x 17″ circumference.